I’m young, I’m single, I’m free, I’m ambitious, I’m gutsy, I’m up for anything, I’m on an adventure. I’m also middle aged, separated, a mum, responsible, cautious, up for anything as long as there is a seat provided, and on an adventure but need glasses to see the map. I read a quote recently: “Straight roads do not make skillful drivers.” Well I must be on my way to winning the grand prix of life. This blog began nearly 10 years ago under the title Mummy Mania, and documented the shock to my system of becoming a parent. 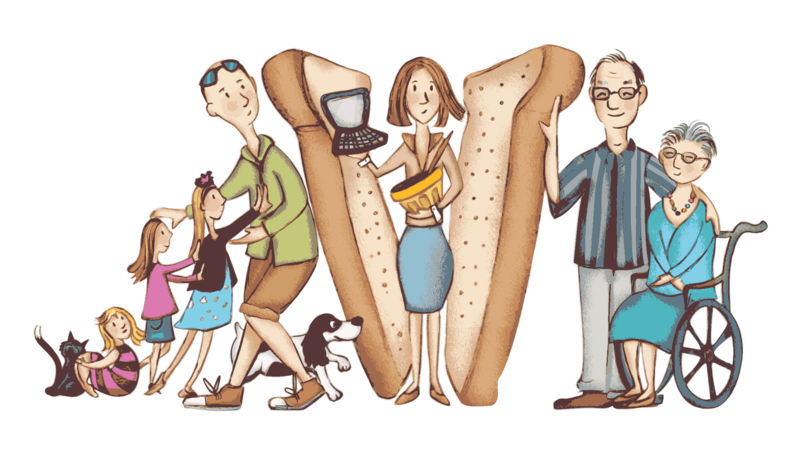 Then, it evolved into The Sandwich Years when my mum had a stroke and I was catapulted into a vortex of care for her, my dad and my three very young children. My previous blog www.thesandwhichyears.org was the inspiration behind my bestselling memoir, Daughter, Mother,Me:a memoir of love, loss and dirty dishes. I began writing this blog as a way of making sense of my changing world when I gave up my high-flying job as a director in a large children’s charity for the low-lying job as a mother in a small child’s world. Somewhere between child birth and child rearing the workaholic Iron Lady turned into the houseworked Ironing Lady and I needed not only to document the amazing highs, but to write out the frustrations of the desperate lows. But when joy and tragedy collided one sunny September week, and I was catapulted without warning or guidebook into the Sandwich years of caring for small children, including a 4 day old baby, and my mother who suffered a devastating stroke, the blog, like my life, changed course. The Sandwich Years has followed my journey as I tried to navigate through the choppy waters of the perfect storm of need – sandwiched between caring for young dependent children, and old dependent parents. Most of the time I felt like the limp motorway garage prepack, all stuffing and no taste. But occasionally and then increasingly, I felt a bit of a gourmet on rye with relish. Either way, it’s the story of my survival.